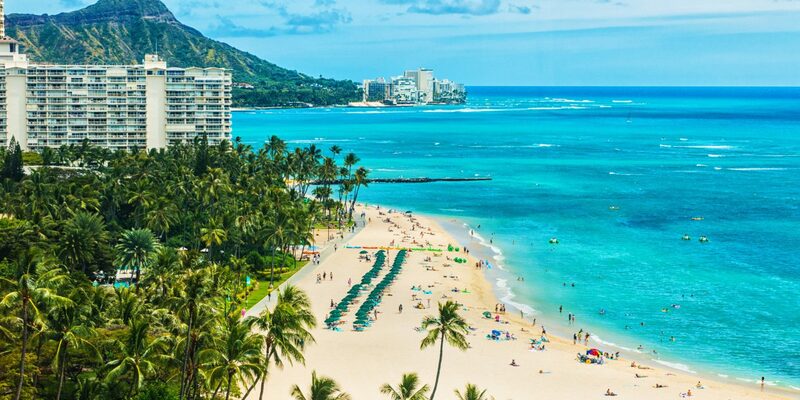 Hawaii’s capital is booming—and we’re not just talking about those gorgeous surf breaks crashing into shore. 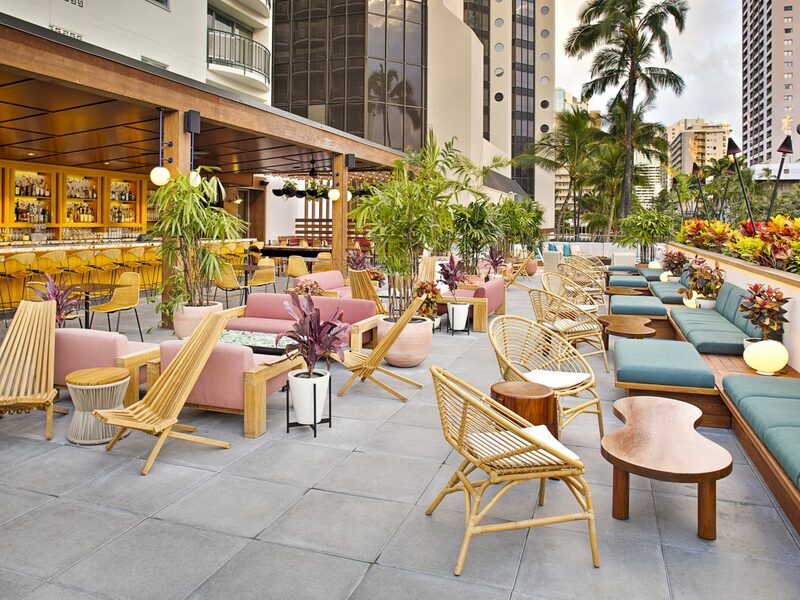 Atmospheric night markets, colorful street murals, multicultural restaurants, heady nightlife, and, of course, the glowing sands and landmark hotels of Waikiki have made Honolulu one of America’s most exciting cities to eat, sleep, and play in. 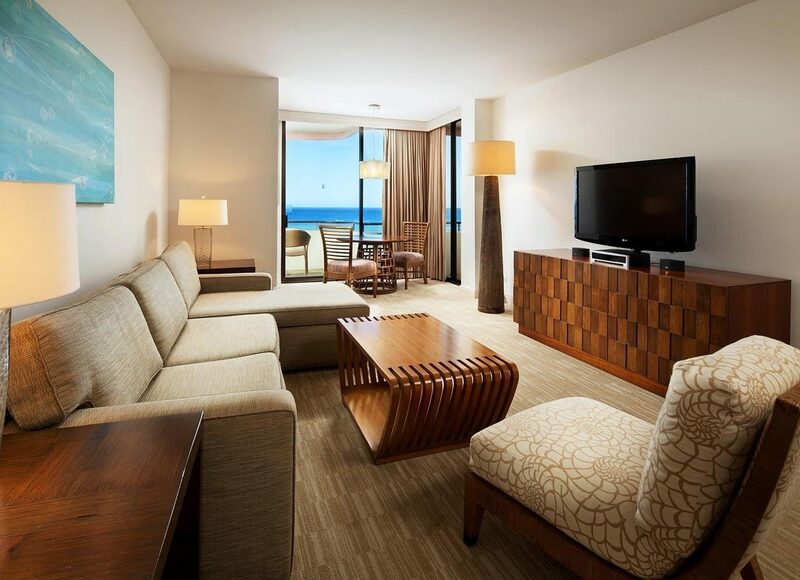 Spend your breaks between the beach and the boardwalk at one of these 8 best hotels in Honolulu. 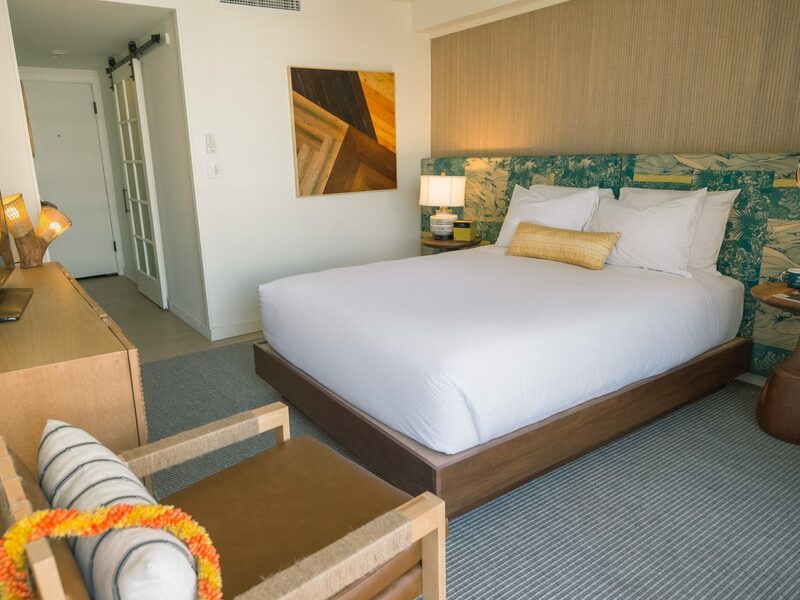 This buzzy boutique minutes from Waikiki Beach has '60s surf-chic down pat. 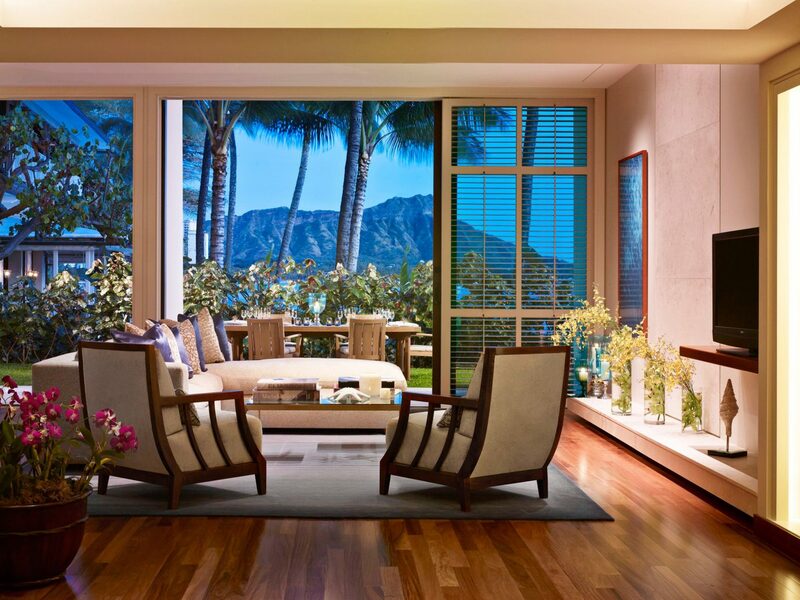 The lobby greets guests with beach scenes by native photographer Mark Kushimi and a living fern installation, while L.A.-based Studio Collection modeled the 112 rooms after beach bungalows found on the north shore: batten walls are hung with surf prints and vintage Hawaiian postcards while beds feature colorful fabric headboards. 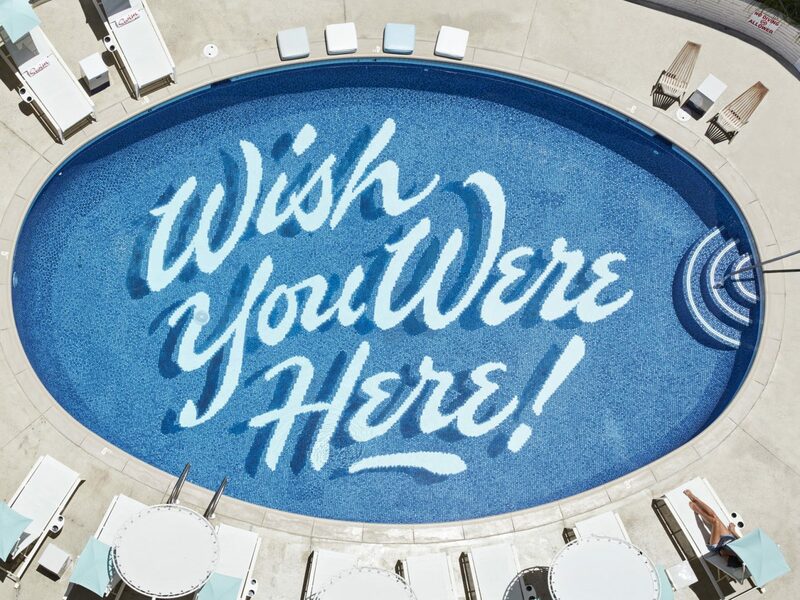 Instagrammers make a beeline for the pool, which has a “wish you were here"-inscribed mosaic floor, while foodies spring for reservations at Mahina & Sun’s, where lauded local chef Ed Kenney churns out island favorites like Kualoa Ranch oysters and marlin poke with pickled mushroom. 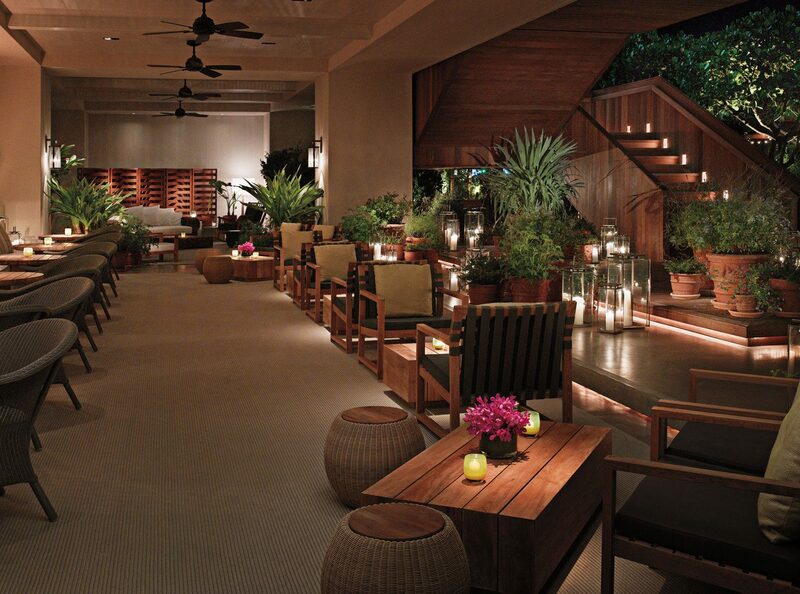 Walking the grounds, you might mistake this classic Oahu mainstay for being on its own island. 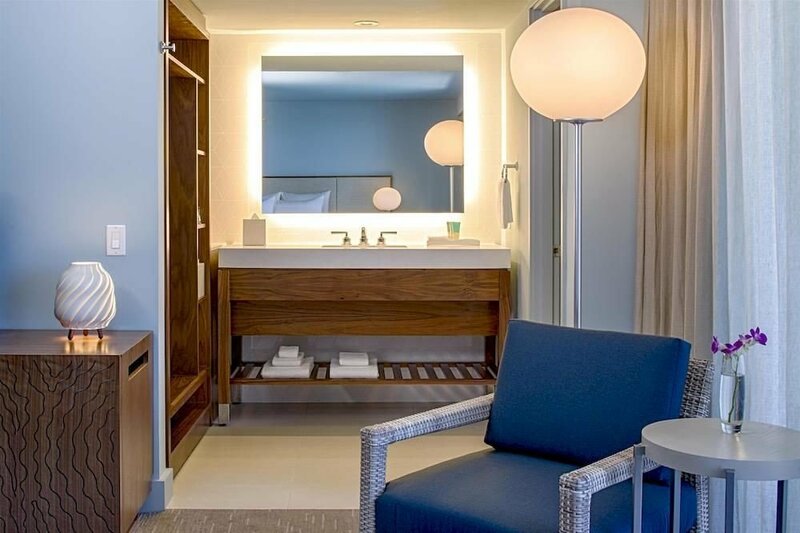 That’s the kind of seclusion Conrad Hilton had in mind when he built what was originally the Ka-Hollywood hotel back in 1964—and the level of exclusivity that wooed the likes of Liz Taylor and Richard Burton. 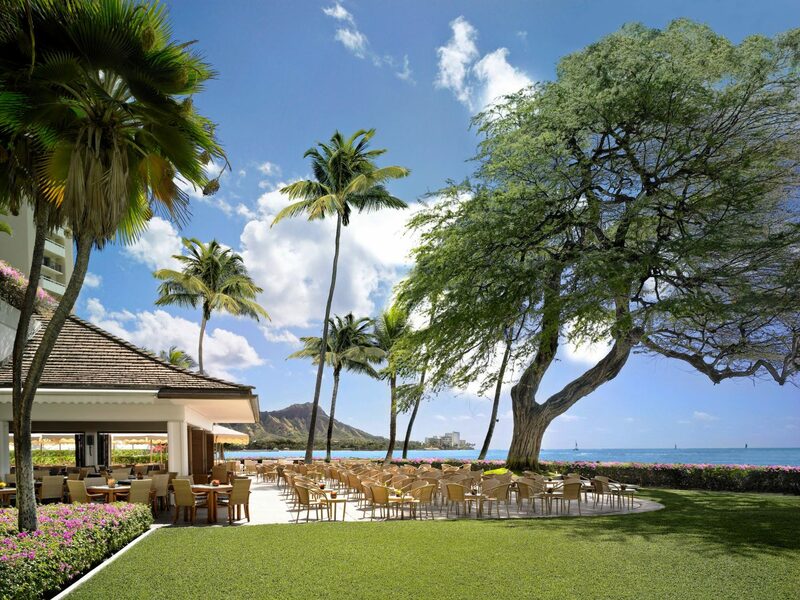 Kahala’s address at the base of Diamond Head and adjacent to a country club means its gloriously quiet (but still public) beach receives little spillover from Waikiki. 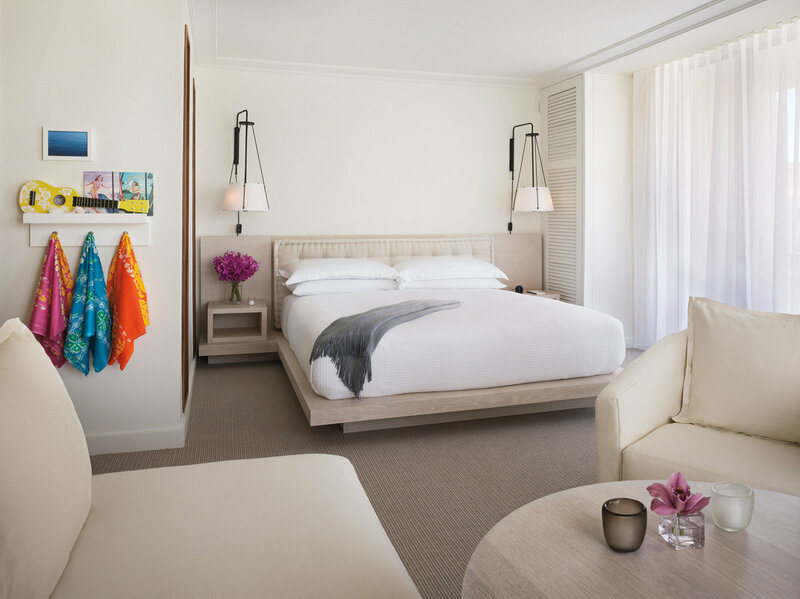 A renovation has restored much of the hotel’s former glamour—think handwoven rugs and soaking tubs in guest rooms and a new signature restaurant, Hoku’s. 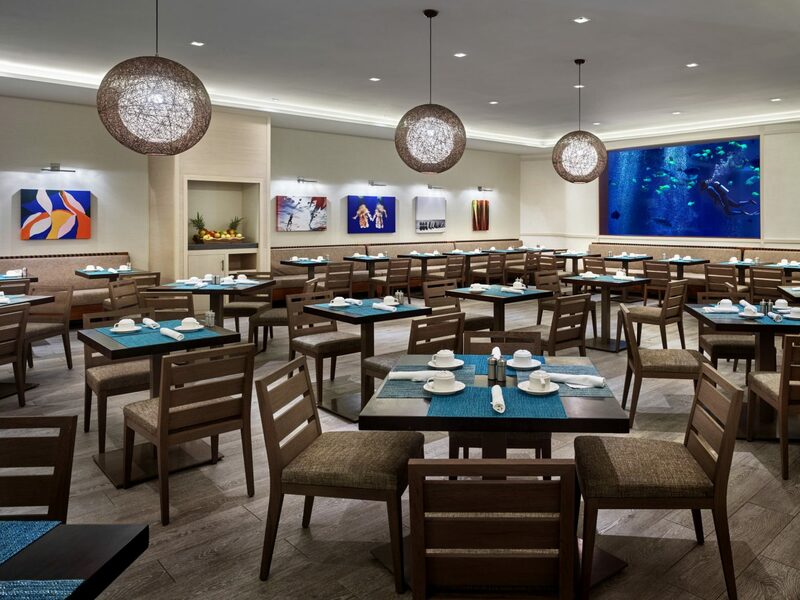 No visit is complete without taking (full) advantage of the impressive beachfront buffet breakfast or checking out the massive lagoon, whose resident bottlenose dolphins, sea turtles, and stingrays delight visitors of all ages. 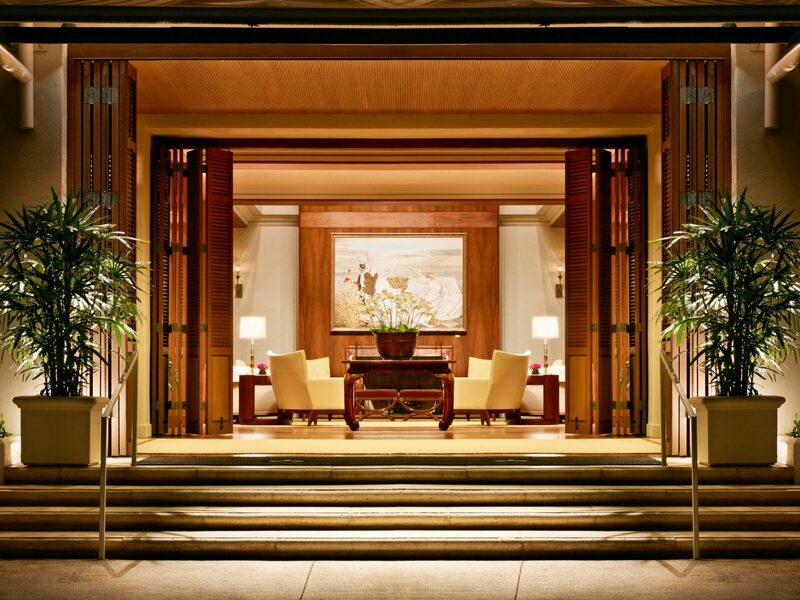 If the amount of destination weddings, honeymooners, and couples this property welcomes on a daily basis is any indication, Halekulani, whose Hawaiian name translates to “house befitting heaven,” is just that. 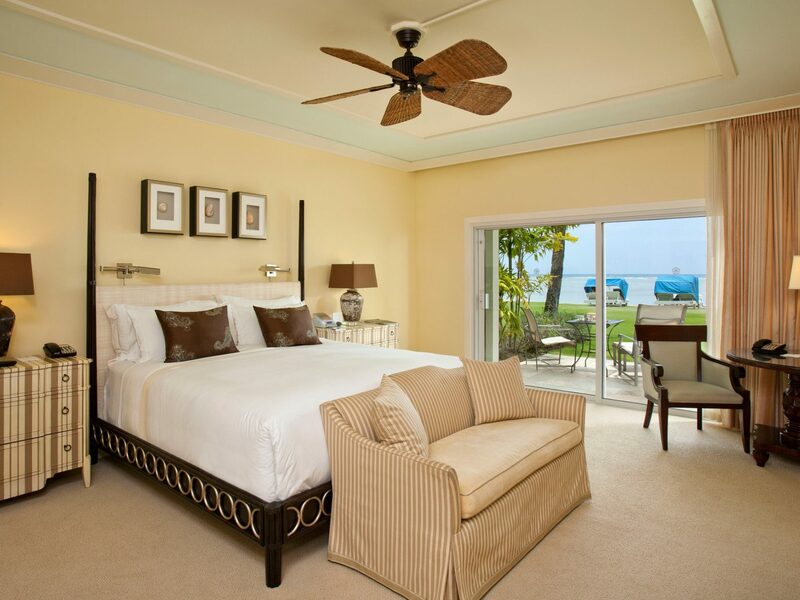 Ever since its inception in 1984, this luxurious hotel has set the standard for both romance and service. 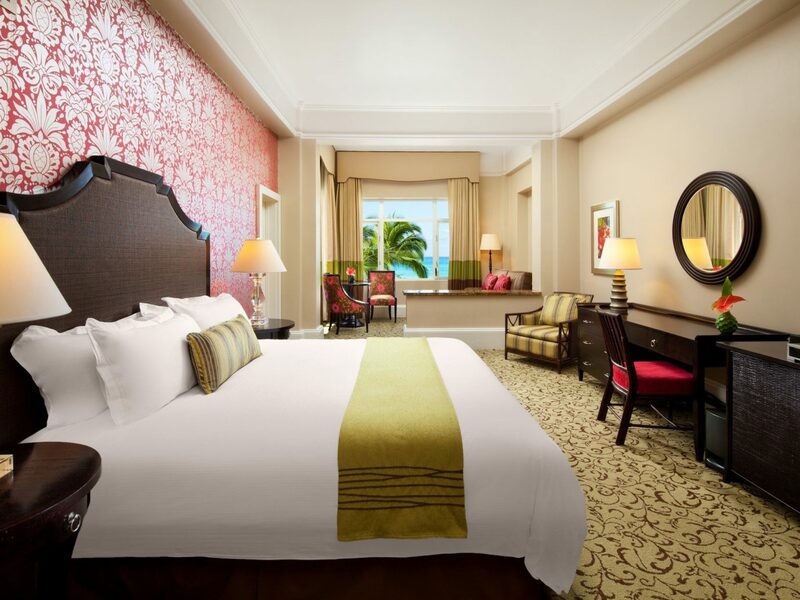 Guest rooms are all-white visions of serenity, foyers are clad in marble, and the various courtyards are all meticulously maintained. 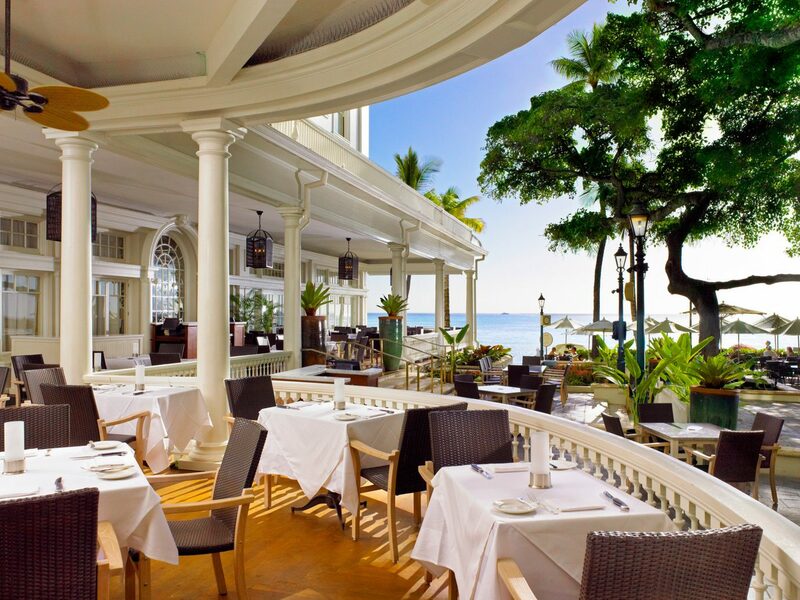 The three restaurants (fine dining at La Mer, the more casual Orchids, and laid-back House Without a Key) aren’t far behind, considered some of the best on the island, though your meal might be easily eclipsed by those stunning views of the sea and sunset. 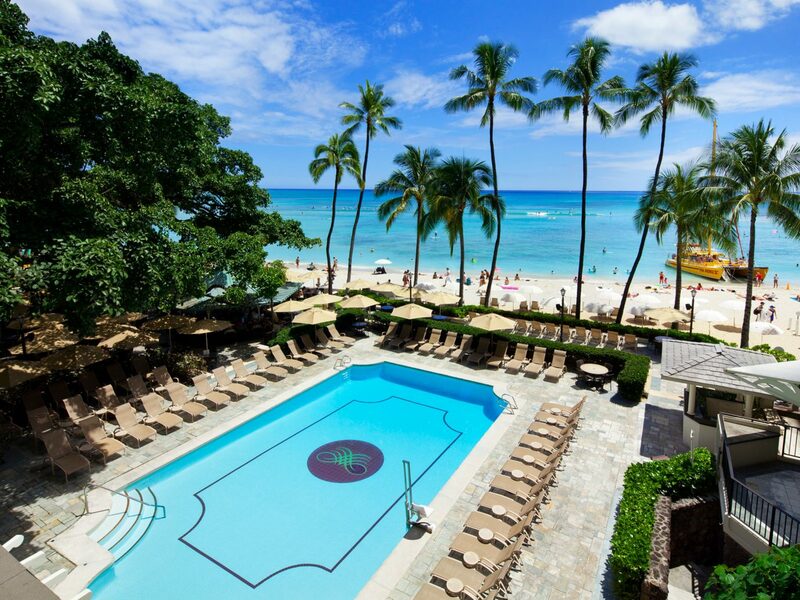 A $115 million investment has turned Honolulu’s aging, 60s-era Pacific Beach Hotel into the chic Alohilani Resort—now home to a whopping 839 rooms and some of Waikiki’s most talked-about new attractions. 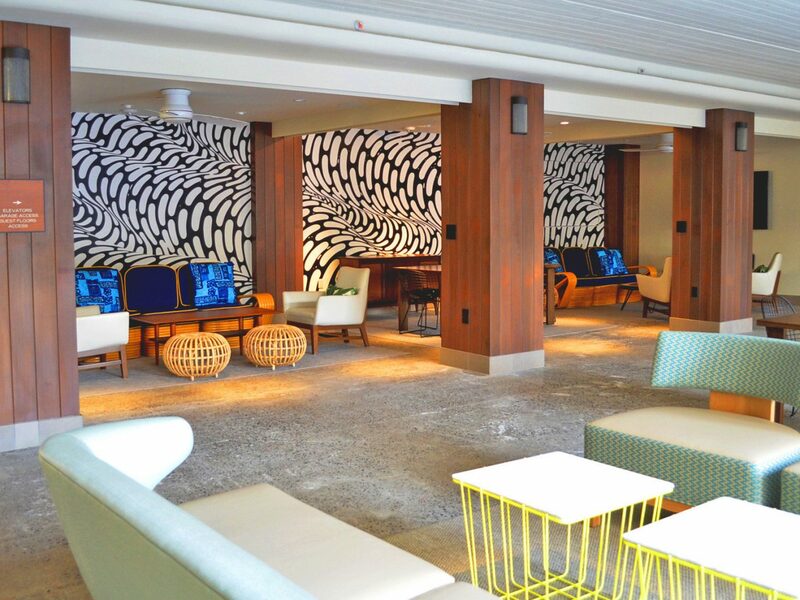 In the lobby, guests can enjoy craft cocktails and pupus at O Bar while watching colorful fish and eagle rays swirl around a 280,000-gallon aquarium. 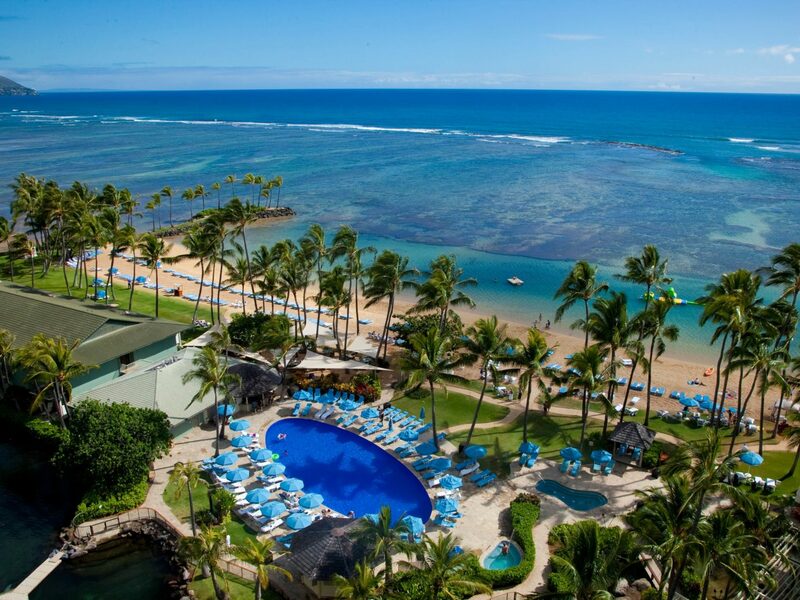 Down your Mai Tai, then move on, because there’s more to explore including clay tennis courts, batting cages, a fitness center and spa, and a lounger- and cabana-lined infinity pool overlooking the ocean. 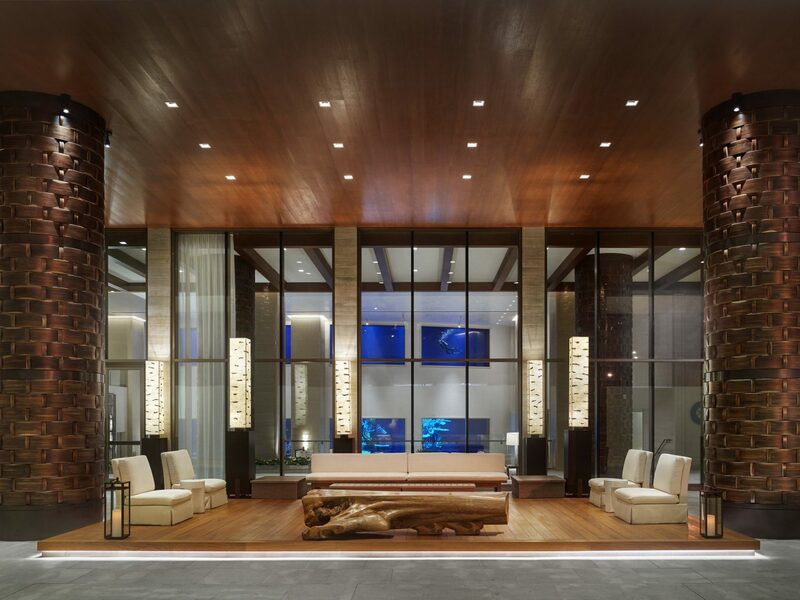 As if the hotel didn’t have enough distractions to keep you on property, this February, it debuted not one but two Morimoto restaurants. 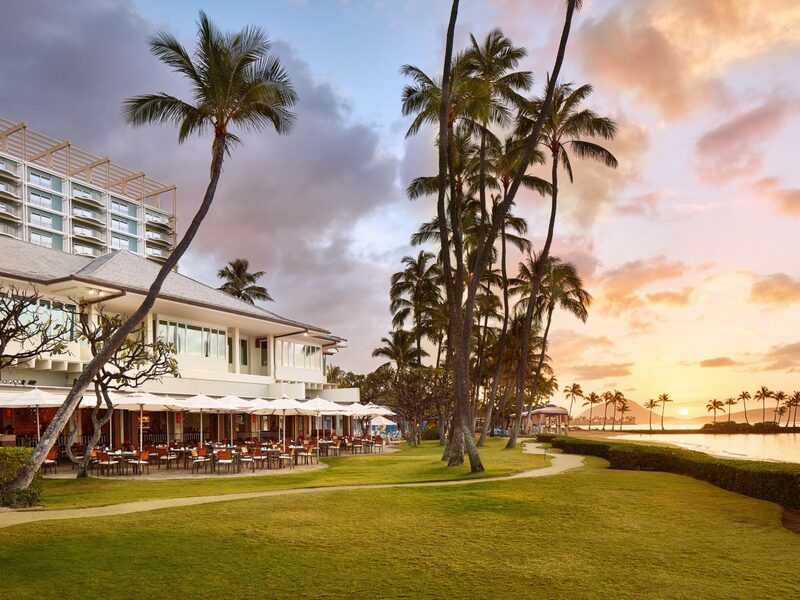 The dinner-only sit-down spot, Morimoto Asia, spotlights dim sum and noodle dishes and features two lanais whose ocean-facing tables are the new weekend reservation to snag (if you can). 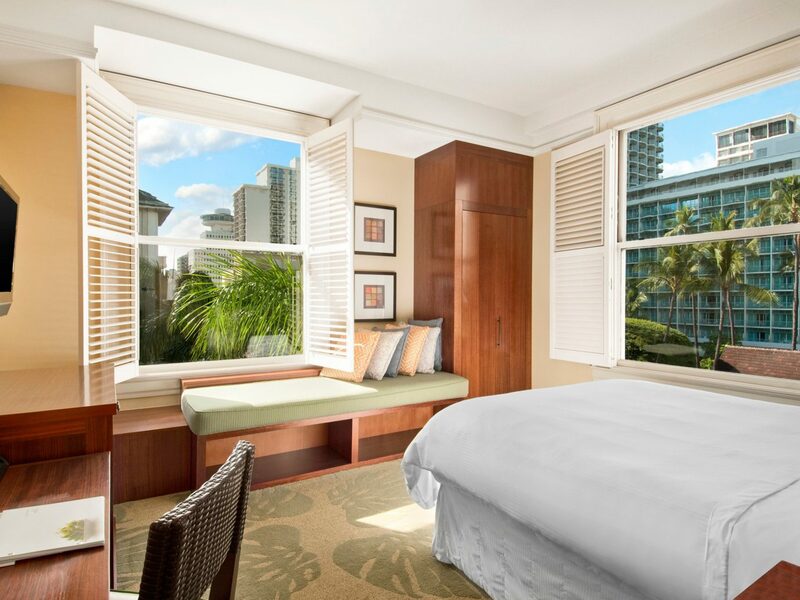 More than a century has passed since Moana Surfrider, Waikiki’s first hotel, began welcoming guests in 1901. 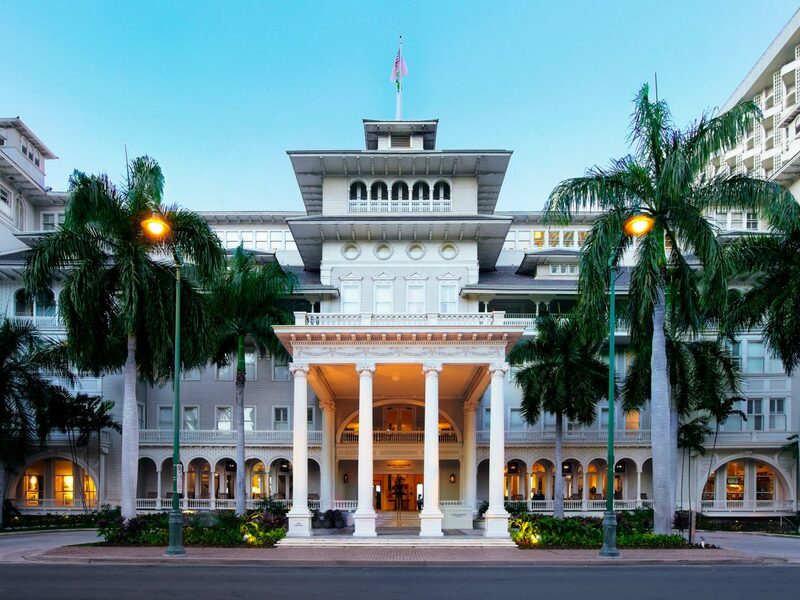 Its Beaux-Arts charm still remains, from the façade of the original building (now with the addition of two guest room towers) to the interior’s white columns and grand staircase (popular for wedding photo ops) and daily afternoon tea, which serves tropical brews infused with papaya and lilikoi on a courtyard verandah shaded by banyan trees. 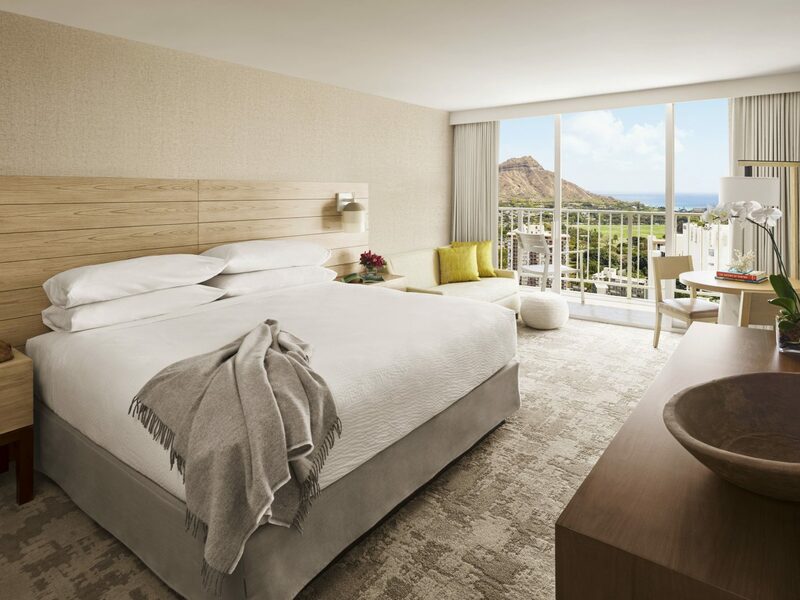 Upstairs, guest rooms are more modern (the Westin brand has given them a fresh if not-so-Hawaii vibe); ask for a room with a Diamond Head view. 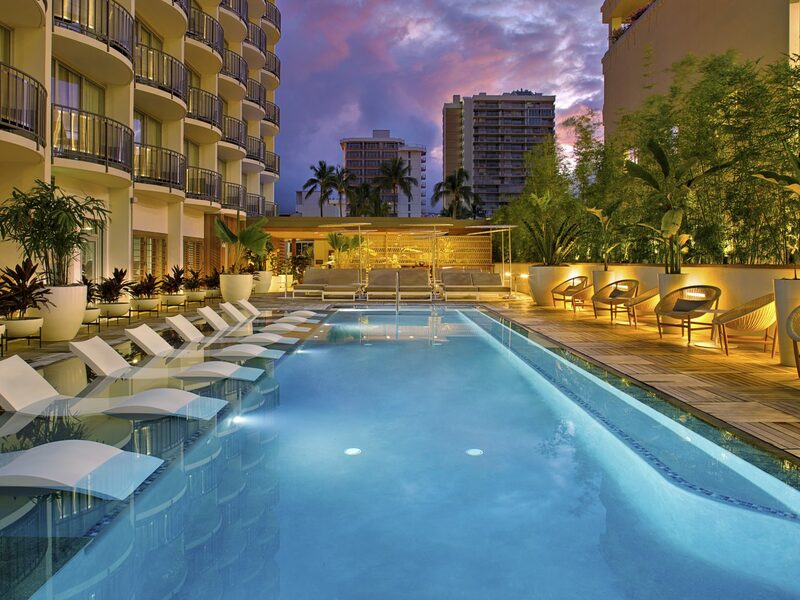 After properly indulging in the freshwater pool and beachfront spa, pop by the piano bar for handcrafted cocktails and live music. 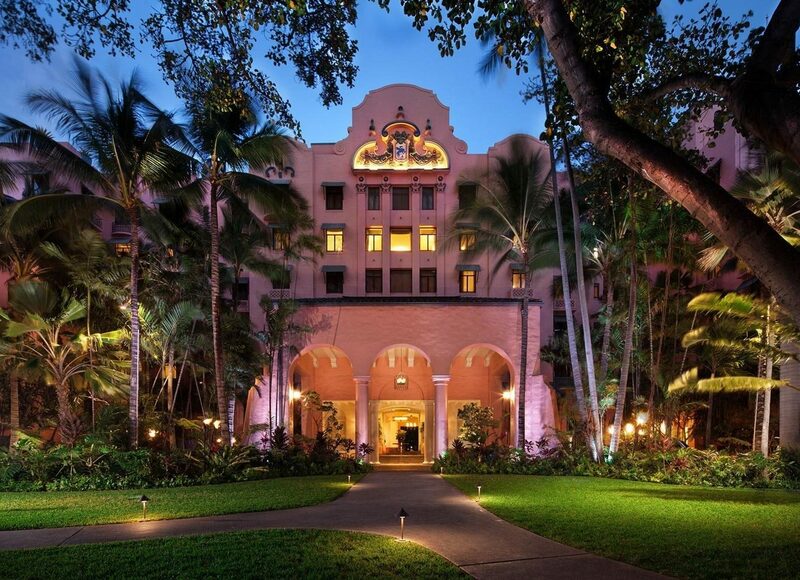 It doesn’t get more old-school Hawaii than this “Pink Palace of the Pacific,” whose retro rosy façade is just the prelude for what awaits inside. 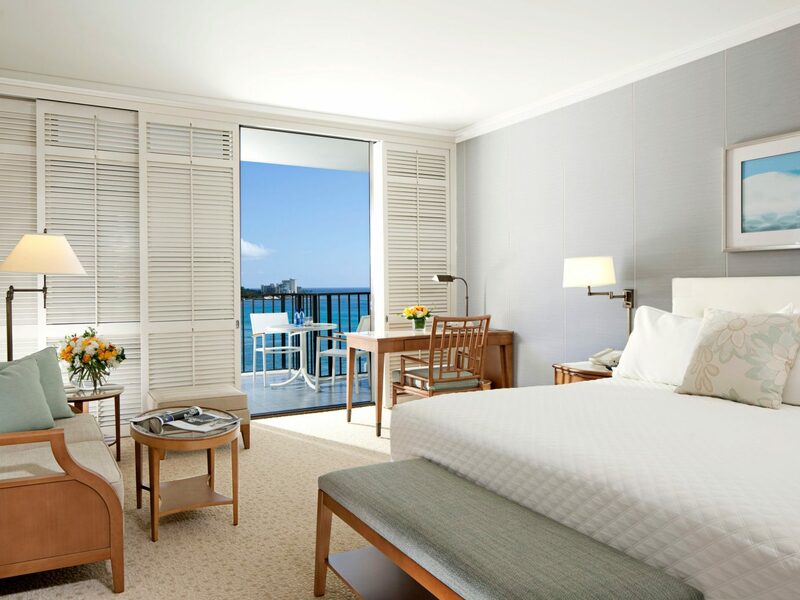 Hallways lined with vintage island maps open up into 528 guest rooms awash with pineapple-print wallpaper, wicker bamboo and rattan furniture, and—in the newer wing—even pink-hued bathrobes. 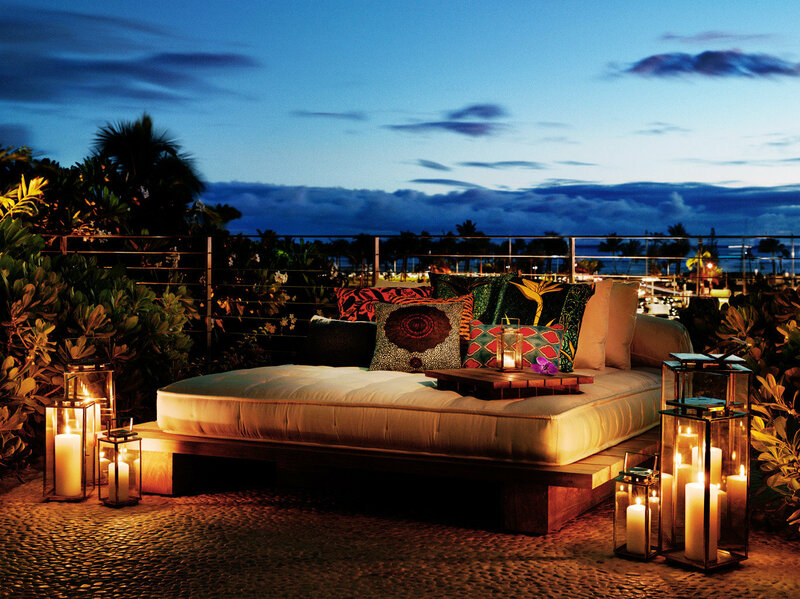 Elsewhere, it’s just as enchanting: the lobby features Spanish-Moorish stucco archways and patterned tile floors, the alfresco Mai Tai Bar serves fruit-centric cocktails from round bar made of koa wood, and perforated lanterns set the mood for seafood-centric entrées—ahi, opah, moi—bought at the Hawaiian fish auction that day. 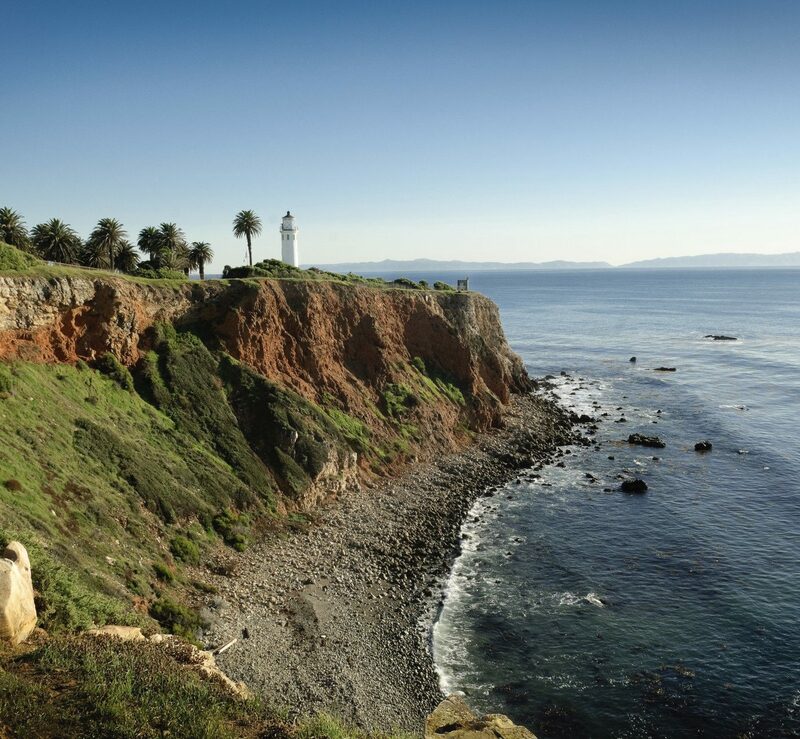 No wonder Mad Men chose to shoot a chunk of its two-hour Season Six premiere here. 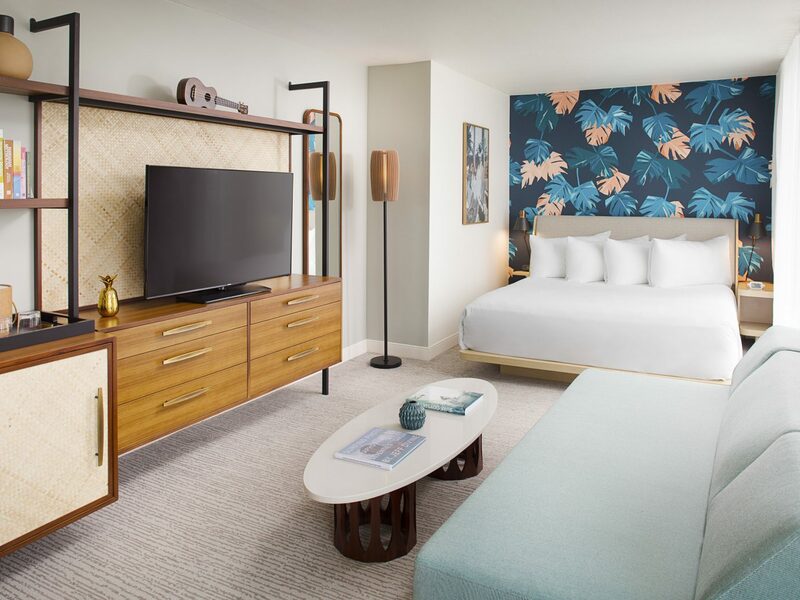 The handpicked period accessories that enliven the modern design of this 251-room urban oasis, above the heart of Waikiki, tell a captivating story of Hawaii's melting pot of cultures and mid-century Honolulu. 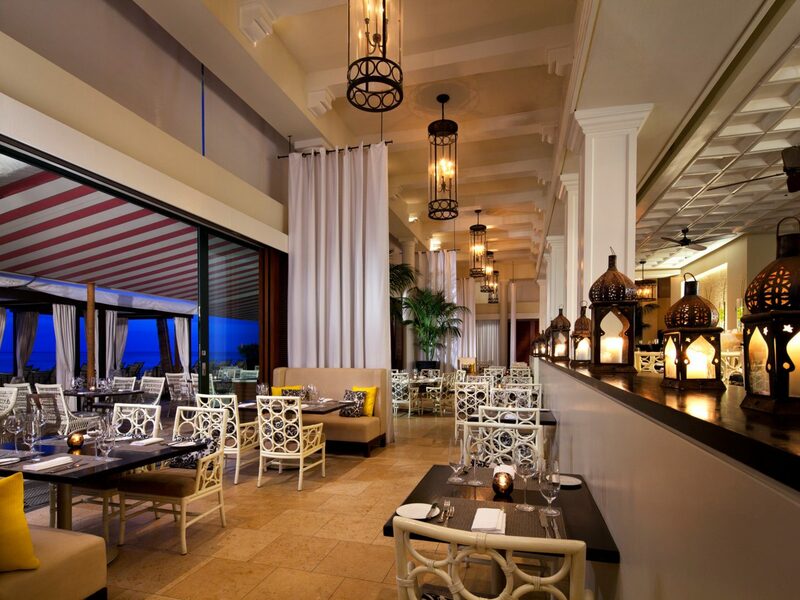 Executive Chef Bryan Byard of the hotel's signature restaurant, Hideout, crisscrossed the islands to source the freshest ingredients from the ocean and local farms for the restaurant’s reimagined Pacific Rim classics. 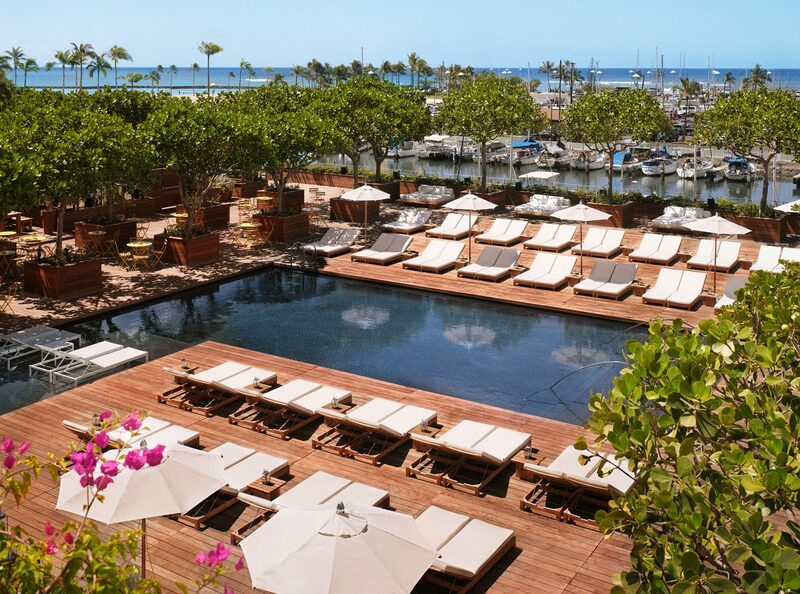 Just steps away, lush bamboo and tropical trees border the tension-edged pool encased in a deck of Ipe—a Brazilian hardwood. 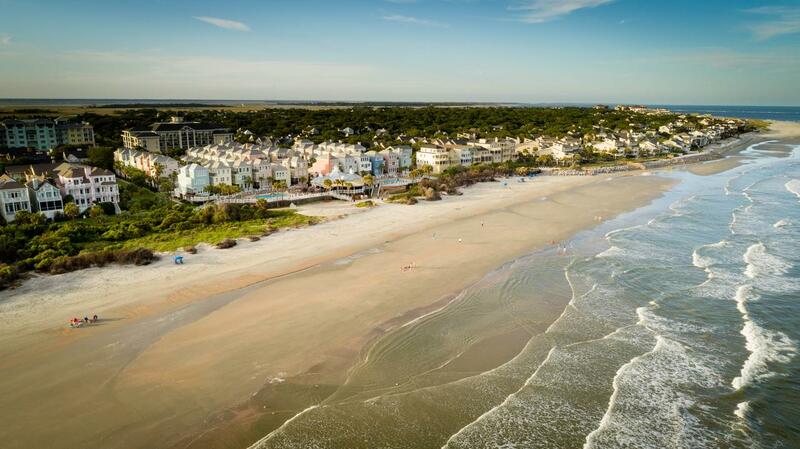 Would you rather avoid the activity (and competitive rates) surrounding a beachfront hotel? 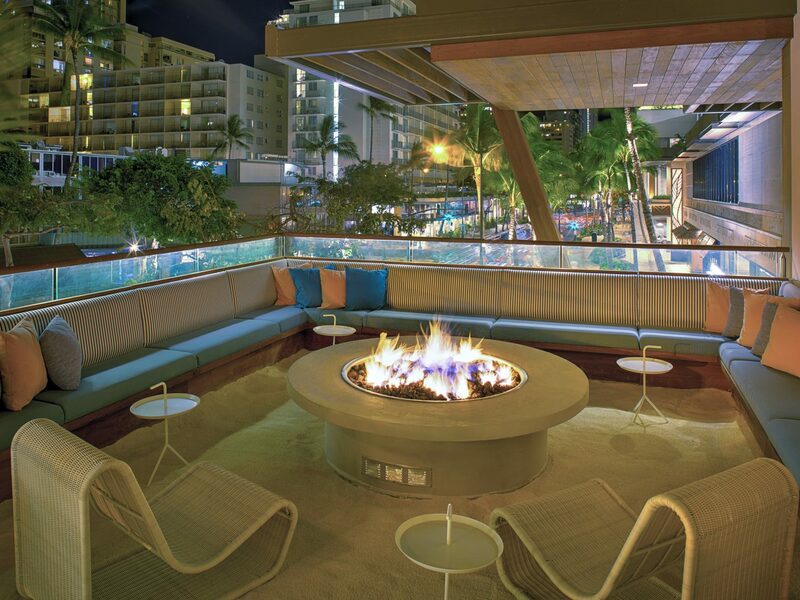 The Modern represents a sleek, more contemporary side of Waikiki. 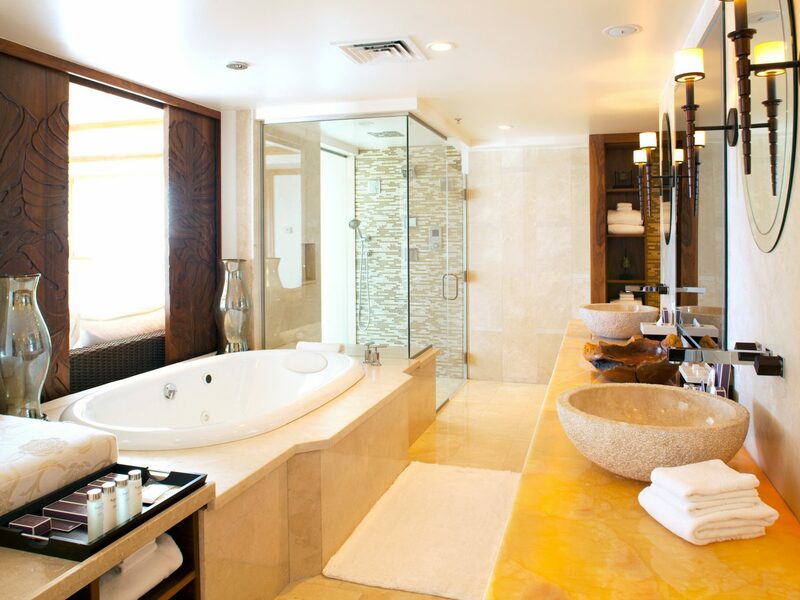 You won’t find any rattan in its 353 Yabu Pushelberg–designed guest rooms (which instead make smart use of white linens and blonde furniture), one of the cabana-lined pools is adults-only, there’s an outpost of Morimoto, and there’s a basement nightclub for anyone looking to get the party started before heading out on the town. 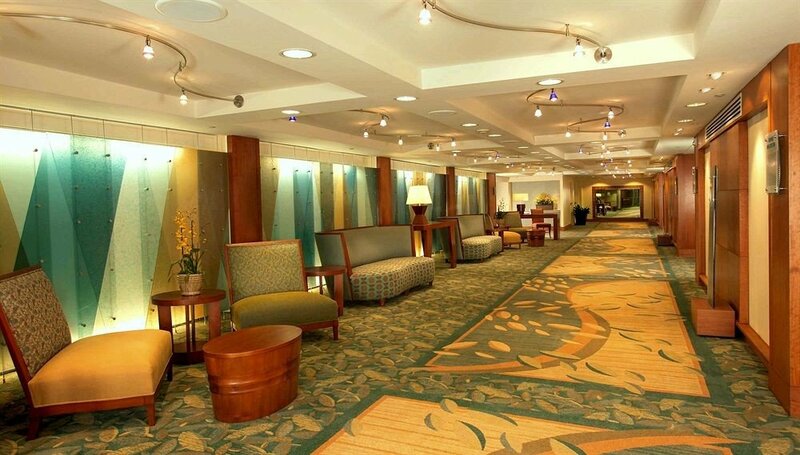 Want to feel like even more of an insider? 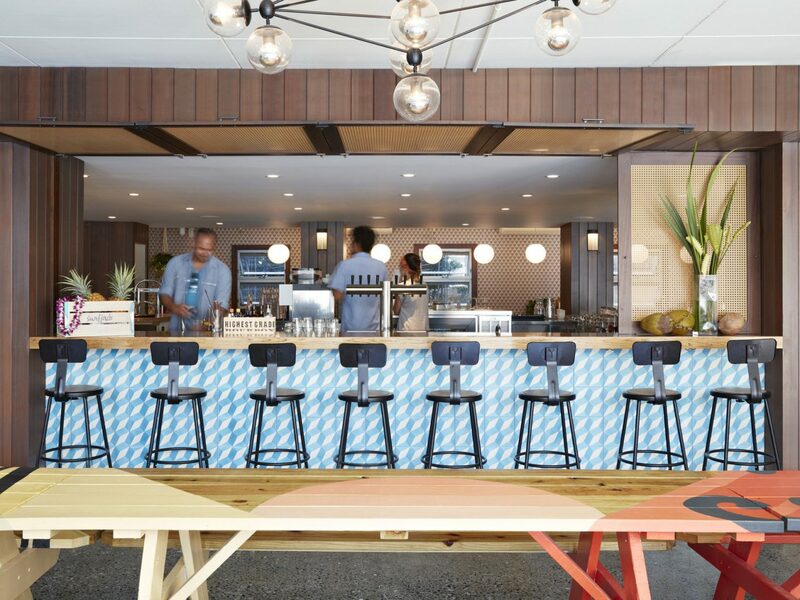 Look out for a bookshelf in the lobby stocked with curios—behind it lies a hidden cocktail lounge that even locals find cool.